Is love a science? Or it just a naturally occurring phenomenon? If you believe that the answer is the former, then this wall art decal might just be perfect for you! 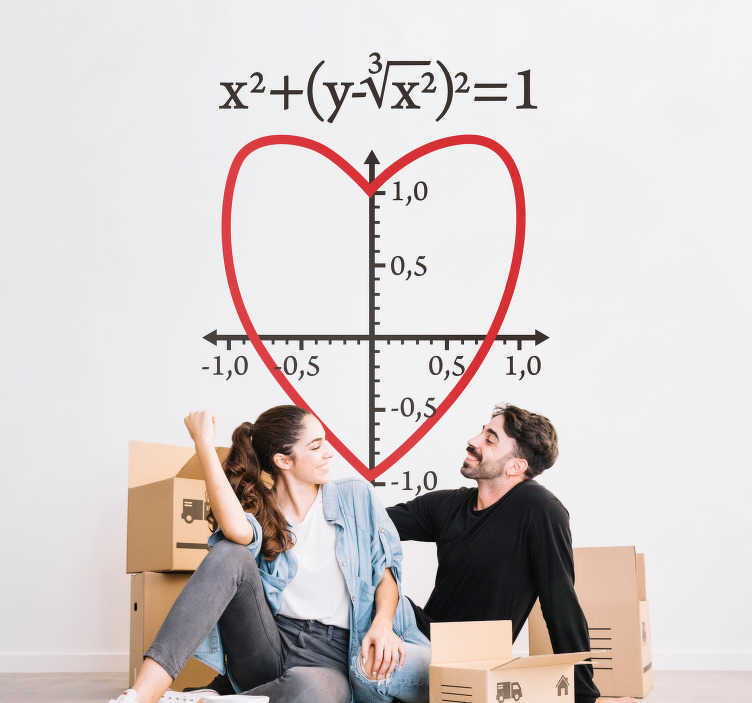 Depicts a graph, surrounded by algebra, but here´s the twist - The graph itself shows a heart, proving that the solution to love may just have been found on this love sticker!